Microsoft’s Surface Book is a constant nightmare to use. In addition to the premium hardware cost of nearly three-thousand dollars, the Surface Book has cost me time and revenue in debugging issues and inability to perform work. Last year i was looking for a top-notch business laptop. I had a generation one Surface a year or two ago and liked it a lot. It was stable, performant enough and had an awesome form factor. So, on December 22, 2015 I purchased a Microsoft Surface Book with a 512gb SSD, Intel i7 and 16gb RAM. The first thing I noticed was that Photoshop was unable to use the Surface Book’s nVidia GPU. Attempting to use it resulted in a black screen on all documents. This was surprising because a significant amount of advertising implied high productivity with Photoshop specifically. The Intel graphics worked okay but there was more delay than I hoped for when drawing. Worse than this, within a day of receiving the Surface Book, the screen literally started falling off. It started with a “squishy” feeling when resting my palm on the right side of the screen. Soon, I noticed that there was an eighth-inch gap between the screen and housing in the bottom left. See the picture at the top of this post. I spent time on the phone and chat with various support people who presented several options for replacing the Surface Book. Unfortunately, I needed this laptop for work so I had to pick the fastest replacement option. I drove 3 hours on snowy roads to a store in south Denver, CO to replace the Surface Book with the damaged screen. I got home with the new Surface Book (which I had inspected for screen adhesive problems). I booted it up and things went well until I got to the pen-pairing step. The pen paired but the cursor would not track the tip. I spent hours googling and trying various things. I replaced batteries and repaired the pen dozens of times. I spent an hour or two in chat with tech support, who finally suggested I factory reset the Surface Book. A factory reset didn’t change anything and another hour in tech support chat got me a new pen shipped. Another 10 day wait. This was frustrating enough but other problems were causing even more trouble. I was about to enter graphics driver and power supply hell. As I started using the new device I noticed it wouldn’t sleep properly. Often when I’d put it away, I’d hear the fan running in my bag. I’d take the Surface Book out and it’d be ultra hot – something electronics generally don’t like. Googling revealed that I should use hibernate and not sleep mode as Microsoft was working out some issues. Additionally, every so often the Surface Book would chime and display a little message letting me know that the display drivers had crashed and recovered. Usually this just caused a few-second delay but often it would also crash applications that were depending on the drivers. The most frequently-affected applications were browsers, specifically Edge and Chrome. They would become unusable, forcing me to close all instances and sometimes fully restart the device. 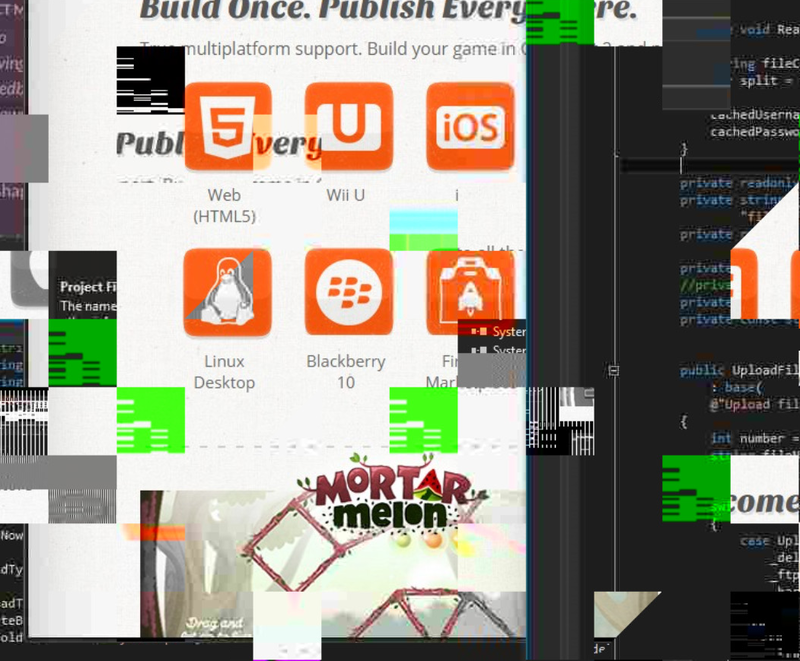 Browsers (Edge pictured here) would crash, flicker and display garbled output due to display driver crashes. I tried a variety of fixes for this, forcing Windows Updates to reinstall drivers and even trying beta drivers for Intel. Using the beta drivers reduced the crashes but they still occurred every few hours. Additionally, attaching or detaching the screen or plugging in an external display caused problems. The device would continually notify me that it was ready to disconnect after I attached it to the keyboard. Scaling issues happened everywhere with applications often crashing when moving from one screen to another. And the device would always have to be restarted after sleeping or hibernation. Understand that returning the Surface Book is not an easy option for me. I have to find a device in the interim that can keep me productive. I have to migrate tons of applications and set up complex environments required by my clients. And I have to find a new device that fits my needs. But I came to the point where I was going to return the device on the very day Microsoft released an update that was supposed to fix everything. The latest Surface Book update has made a difference but it’s not enough. I still can’t sleep or hibernate the device, it always causes display issues. I often get a pink screen with a sad face on startup, informing me the device has had some power management issue. When I restart I have no battery left. While the display crash messages happen rarely now, they still happen. And I have new sound-related crashes that disable audio completely until I restart. The Surface Book doesn’t even play games. The card is more than capable of running modern games at acceptable resolutions but nVidia drivers haven’t been updated for months. It is possible to get many games to run, often using startup flags, and you can install hacked drivers. But this is a $3k work laptop. I can’t mess around with that. It has been a little over two months of constant hell. I have been through two devices, a new pen and a factory reset. I have spent hours in chat with tech support, googling for solutions and trying workarounds. This is the worst laptop I have ever owned. It had so much potential and truly incredible hardware. But my business can’t continually pay a huge price to beta test a disaster. I am a software developer with a lot of knowledge and experience debugging complex computer systems. The Surface Book is too much for me to deal with, failing at the most basic tasks, so I can’t imagine how mainstream users would tolerate this. I have to keep this a little longer to wrap up a contract because I don’t want to face setting everything up on a new machine. Then it’s going back and I’ll be shopping for something more capable. This adventure has come to a mostly-happy ending. Last Thursday my surface book crashed while I was doing a video conference presentation to a sizeable group of clients, again due to the display drivers crashing. It glitched out so hard the soundcard stopped working and browsers wouldn’t even open. I tried to restart it and it hung on that too. I put the surface away and dug out my old Macbook Pro to finish out the work. It was the last straw. I spent a few hours on livechat with Microsoft support. They were unable to issue anything but an exchange but I’d already been through that process. Additionally since I kept waiting for drivers and updates to try to fix things, I was outside the 30 day return window. My only option was to contact the nearest store (where I exchanged it after the screen malfunction) and see what their manager was willing to do. I got in touch with Adam, a manager at the Windows Store in Park Meadows mall south of Denver. Adam was awesome. I did have to drive several hours down to the store but the whole team there was super helpful. I explained my story and was able to reproduce at least several of the problems for Adam and his staff. They were clearly dedicated to delivering a great customer experience. After running through a few fixes that did not improve the bugs, I was able to exchange the Surface Book for a 15″ Dell XPS. I had been looking at these devices anyway. The Dell is significantly more powerful on paper and was almost $1,000 cheaper. I took home a new laptop and an Xbox One with four controllers and a few games for the office. It’s only been a few days but I’m very happy with the XPS so far.